THE UK's only Hartmann's Mountain Zebra to be born in the past decade has celebrated its first birthday at Blackpool Zoo. 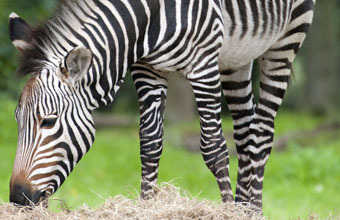 Tebogo was one of only 26 foals to arrive across the entire world in 2011 and he took the number of Hartmann's Mountain Zebras in captivity in the UK to 14. Blackpool Zoo's senior large mammal keeper Sofie Haugaard said:Hartmann's Mountain Zebra births are extremely rare and the entire team here at Blackpool Zoo were delighted when we broke a nine year absence of new babies in the UK last year. ï¿½It has been great to see him flourish over the past 12 months and we look forward to seeing him continue to grow.